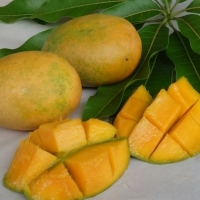 The Mango Tree is one of the most luscious of all tropical fruits with flavours varying from exceptionally sweet to turpentine. 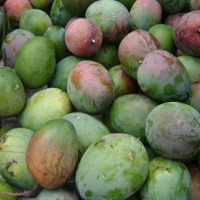 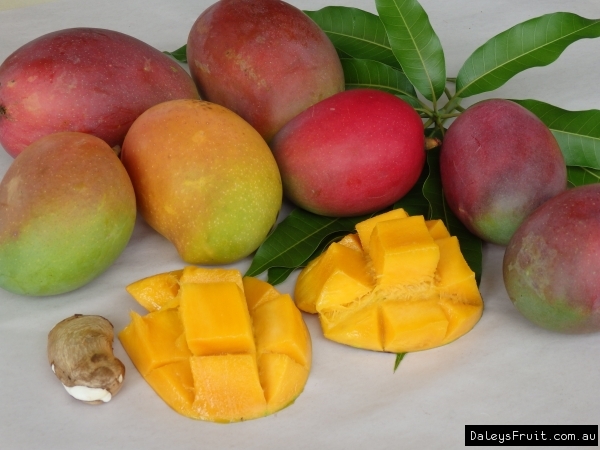 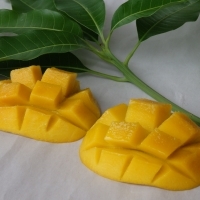 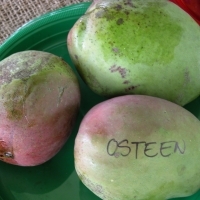 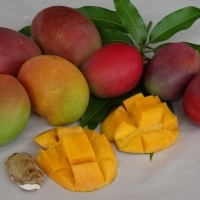 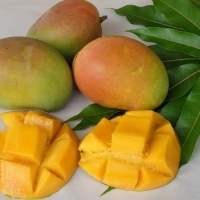 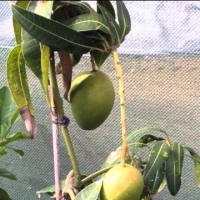 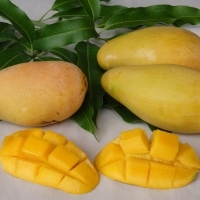 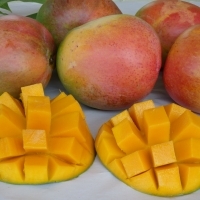 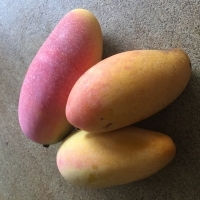 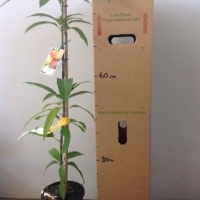 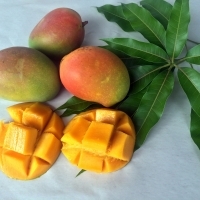 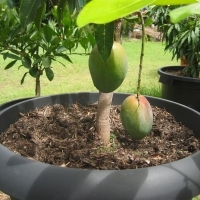 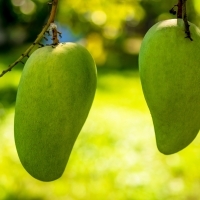 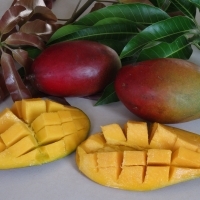 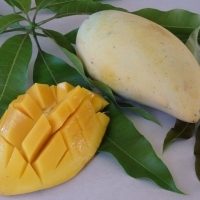 By planting different varieties of mangoes harvesting can be extended for up to 12 weeks. 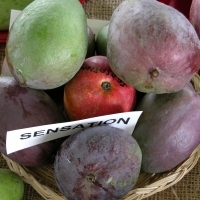 A semi-dwarfing selection of Kensington Pride. 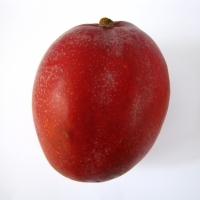 Fruits are medium sized with an attractive red blush and delicious smooth flesh with the true Kensington flavour. 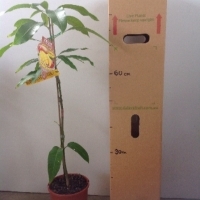 The tree is about 1/2 the size of the Kensington Pride. 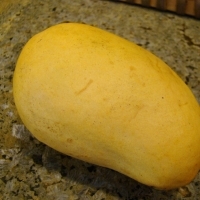 Smooth sweet creamy flesh sets this variety apart. 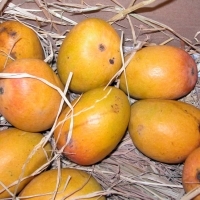 The fruits are only small but have small seeds. 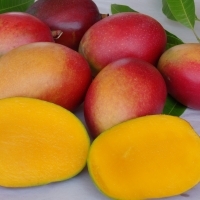 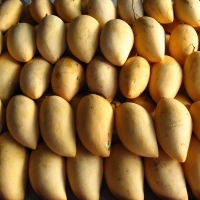 When ripe, the skin is completely golden yellow in color and the flesh becomes golden yellow/orange. 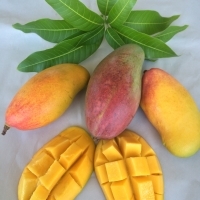 Weed warning: Classifying the mango as a potential weed may generate some chuckles as most people would be quite happy to have a wild mango growing along their fenceline however it can cause some concern when upstream of protected native areas and in the sub/tropical areas they can be seen self seeding downstream or down hill of cultivated mango trees.